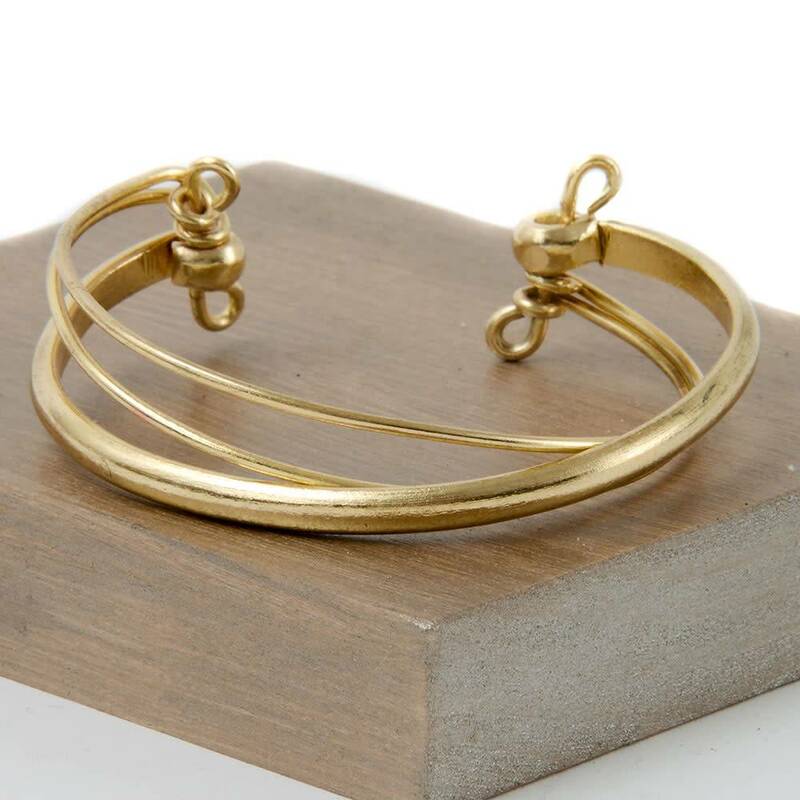 Simple, light, and airy make this cuff a wardrobe staple. 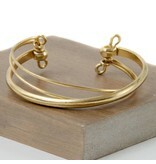 One large bangle criss crosses with two smaller ones. 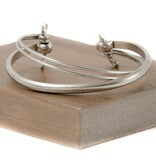 Easy to wear and adjusts to fit most wrists.